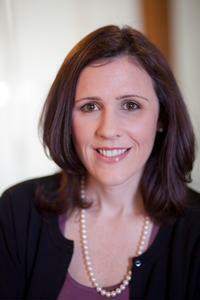 Catherine Bradshaw is a developmental psychologist and youth violence prevention researcher. She is the Deputy Director of the Johns Hopkins Center for the Prevention of Youth Violence and the Co-Director of the Johns Hopkins Center for Prevention and Early Intervention. She holds a doctorate in developmental psychology from Cornell University and a master’s in counseling and guidance from the University of Georgia. Her primary research interests focus on the development of aggressive behavior and school-based prevention. She collaborates on research projects examining bullying and school climate; the development of aggressive and problem behaviors; effects of exposure to violence, peer victimization, and environmental stress on children; and the design, evaluation, and implementation of evidence-based prevention programs in schools. She presently collaborates on federally supported randomized trials of school-based prevention programs, including Positive Behavioral Interventions and Supports (PBIS) and social-emotional learning curricula. Dr. Bradshaw also works with the Maryland State Department of Education and several school districts to support the development and implementation of programs and policies to prevent bullying and school violence, and to foster safe and supportive learning environments. She received a career development award from the Centers for Disease Control and Prevention for her research on the use of evidence-based violence prevention programs in schools and collaborates on federally-funded research grants supported by the NIMH, NIDA, CDC, National Institute of Justice, and the Institute of Education Sciences. She is a former Associate Editor for the Journal of Research on Adolescence, and the current editor for Prevention Science. Bradshaw, C. P., Waasdorp, T.E., & Leaf, P. (2012). Effects of School-wide Positive Behavioral Interventions and Supports on child behavior problems. Pediatrics, 130(5), e1136-e1145. Bradshaw, C. P. (2015). Translating research to practice in bullying prevention. American Psychologist, 70(4), 322-332. Bradshaw, C. P., Pas, E., Bloom, J., Barrett, S., Hershfeldt, P., Alexander, A., McKenna, M., Chafin, A. E., & Leaf, P. (2012). A state-wide collaboration to promote safe and supportive schools: The PBIS Maryland Initiative. Administration and Policy in Mental Health and Mental Health Services Research, 39, 225-237. Waasdorp, T. E., Bradshaw, C. P., & Leaf, P. J. (2012). The impact of School-wide Positive Behavioral Interventions and Supports (SWPBIS) on bullying and peer rejection: A randomized controlled effectiveness trial. Archives of Pediatrics and Adolescent Medicine, 116(2), 149-156. Bradshaw, C.P., Milam, A.J., Furr-Holden, C.D, & Lindstrom Johnson, S. (2015). The School Assessment for Environmental Typology (SAfETy): An observational measure of school envionment. American Journal of Community Psychology, 56, 280-292. Bradshaw, C.P., Sawyer, A., & O'Brennan, L. (2007). Bullying and peer victimization at school: Perceptual differences between students and school staff. School Psychology Review, 36(3), 361-382.